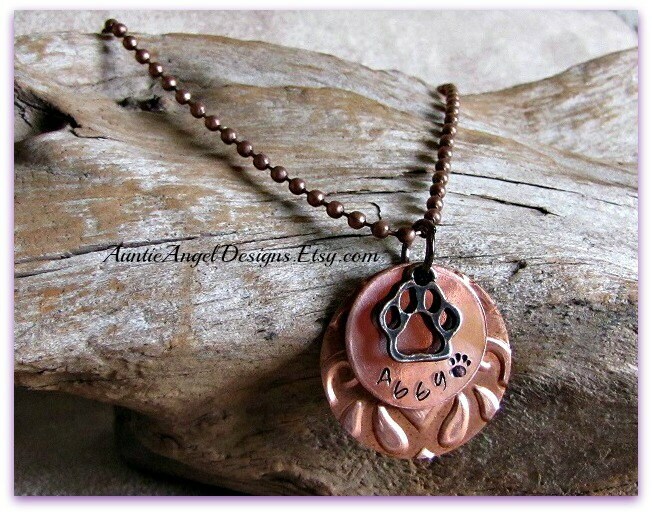 For moms or moms of those in fur, whether on earth or at the Rainbow Bridge, a stunning hand-stamped copper necklace that you will be so proud to wear. Your necklace will feature a 3/4" copper disc with your pet's -- or human's -- name lovingly hand-stamped at the bottom. This disc rests over an independent handmade pure copper embossed disc which has been sealed to protect the color. The embossing/debossing appears on both sides of the larger disc, which is 25.5 mm in diameter, slightly larger than the size of a quarter. A super-cute copper swirl heart charm adds to the beauty and dimension to this meaningful memorial necklace, which is finished with an antiqued 2.4 mm copper ball chain which is 23" inches in length. You may easily clip the chain to make the necklace your desired length. 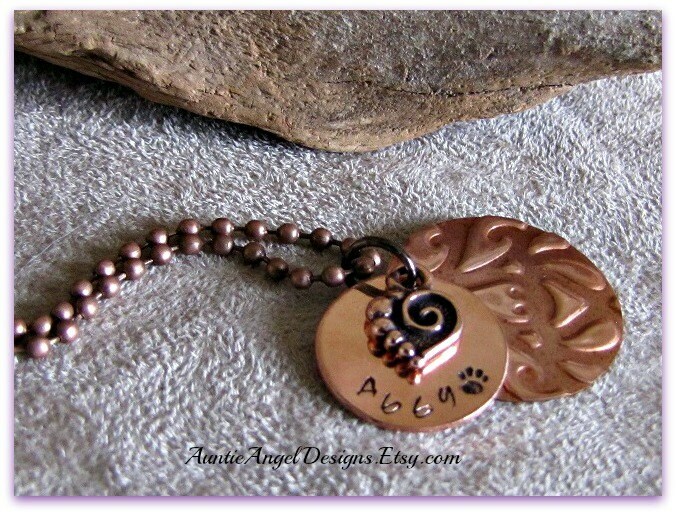 To further personalize your necklace, you may choose the copper open paw print charm INSTEAD OF the swirl heart charm. 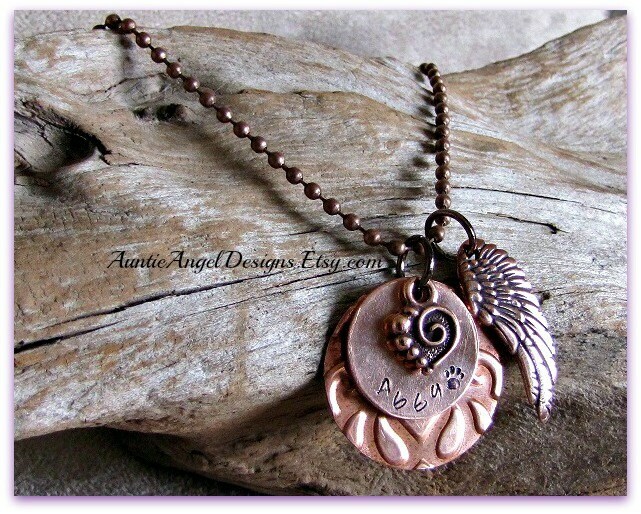 If no instructions are given to me, you will receive the ensemble shown in the first photograph, which is the copper disc, the embossed larger disc, the copper swirl heart charm, the copper angel wing, and the antiqued copper ball chain. PERSONALIZATION: What I need from you: Please type your pet's -- or human's -- name in the Note from Buyer box during the checkout process. 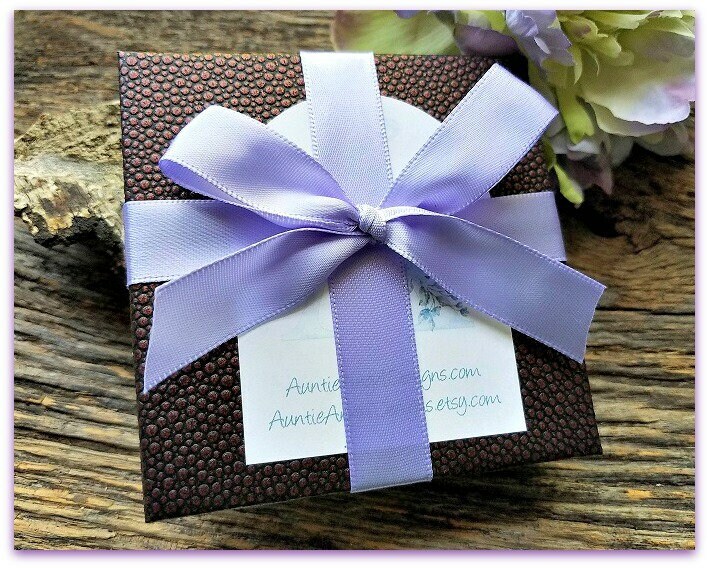 If I am sending this gift for you, please fill out the free Etsy gift card section during the checkout process, and don't forget to "sign" your name to the message! If the gift is being shipped directly to you for you to give to your friend or loved one, be sure to click that this is a gift during the checkout process and I will include a blank gift enclosure card and envelope. I was beyond impressed when I received this necklace. It is very well made, and looks beautiful. It’s my favorite piece to wear. I would highly recommend.